I needed a new machine after my old HP laptop started slowing down massively and was incapable of running word or even starting up without hitting worryingly high temperatures. I found this incredibly useful website after researching building a PC which was suggested to me by my friend (thanks if your reading this!). I started out with the usual best bang for the buck FX 6300, but after spending some time on the forums I realised it was a bad idea, and would be much better for what i'm doing to go for an Intel i3 or an i5 used. I ended up getting the i5 used as I found one for a good price. Anyways, I went down that route, and every other component fell into place nicely. 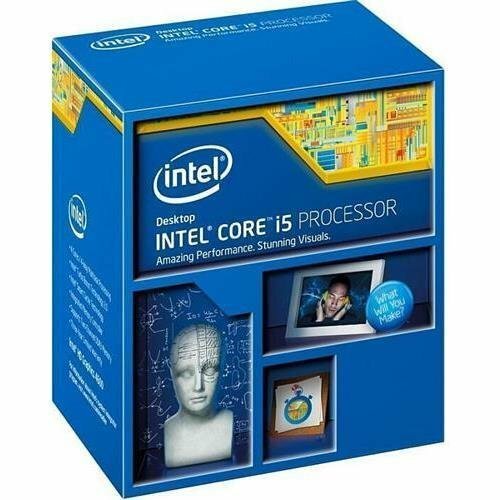 CPU - Intel Core i5 4590 - A good i5 and was cheap and in good condition from eBay. I chose this one as there weren't too much newer i5's on eBay for cheap and I read this CPU was just VR capable, but I probably won't be using VR yet! CPU Cooler - CRYORIG M9i - An aftermarket CPU cooler was needed because the CPU didn't come with a cooler. I decided on this one because it cooled well for the price and it looked nice. It cools my CPU really well and I rarely see it above 40°C. Motherboard - MSI B85-G41 PC MATE - A good price B85 motherboard that also had blue heat spreaders and slots (which was not intended). It working well (so far!) and I love the easy BIOS and has all the features I need. Storage - A-Data Premier SP550 240GB - I wanted an SSD after getting tired of slow boot times and I thought 240GB would be plentiful for the OS and my favourite games, or at least until I save up for a decently sized hard drive, which I hope to get soon. Case - Aerocool Aero-800 (White) - This case was decided on pretty quickly because it was a cheap, good case and looked nice IMO. It came with 2 fans, one LED, and a side panel window and all the features I needed. I was originally deciding between the blue and white versions, but I chose white so it wasn't too overwhelming and I am not regretting it. The case is great, but scratches a little easy and doesn't have rubber grommets, but what would you expect from a case at £42? 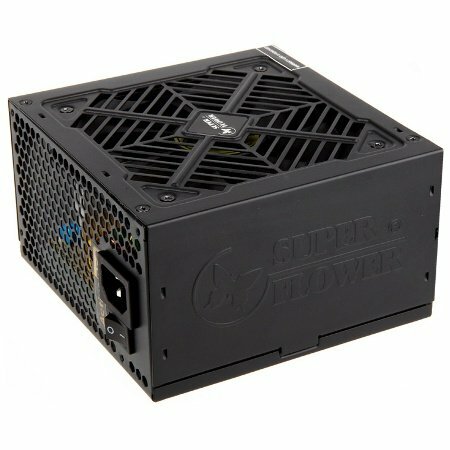 PSU - Super Flower Golden Green HX 550W 80+ Gold - This took me a long time to decide and I needed some help from the forums (thanks!) because I didn't know much about PSU other than they shouldn't be cheaped out on unless you have a tight budget. I got the HX because it was fairly priced and was reliable. In hindsight, I should've got the Antec TP Classic for £2 more, but I guess that's how you learn. Monitor - AOC E2476VWM6 23.6 " 60Hz - A great value monitor that looks very nice and is very well named (cough sarcasm cough). The stand is a little wobbly though. Speakers - I haven't got these yet, but I am soon as my old trust speakers are starting to give up the ghost. They have a Sub-Woofer and seem good for the price from the reviews I've read. Keyboard and Mouse - TeckNet Gryphon Pro Gaming Bundle - These were good for the price and is quite tactile. I didn't really need anything more as I am not a serious gamer or anything like that. The options to change the LED's is nice (Although I like blue) and the macro keys are a nice addition. Food - Doritos and Mountain Dew - No meme machine would be truly MLG without a side of these. Gives any build a true MLG kick! This build performs very well for what I wanted it for and is a huge upgrade over my old laptop. I do occasionally run into a problem with the OS, like the settings would not open, but currently it is working well! I think the main issue was finding a good parts list for around £600 but I succeeded. Well that's it, thanks for reading! Great little CPU Cooler for the price. Definitely worth buying if not overclocking extremely. Very nice case! It is great value and looks very nice. It comes with two fans, one LED which adds to the look. Only complaint is it scratches fairly easily. Nice PSU, it is very efficient and looks nice. I wish the cable sleeving was slightly longer to cover the 20+4 pin more though. Good fans but very loud! The Doritos and Mountain Dew, though. this is the nicest build at this budget. you care about those cables, just AMAZING!! Finally finished! do i get a cookie? Anyways, an awesome build. Love the part list and a great choice with the R9 380. Pic #3 looks amazing too. Wit Specs/fps do you get? I haven't really tried yet, but it's performing well so far!